Our weekend started off real yucky with some serious April showers. Now that I have little Johnnie Cash though I actually really love the rain, because who better to spend a snuggly evening in with than your favorite pup? Johnnie is the perfect rainy day partner. We played enough indoor fetch, tug and keep away that she was okay with chillin’ out for most of the night. 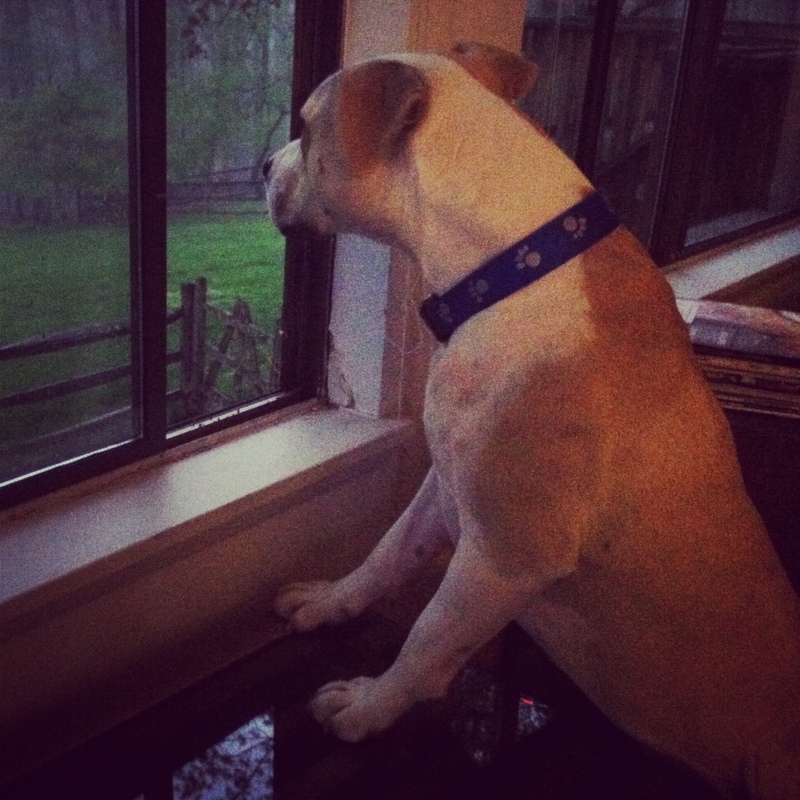 Johnnie was quite intrigued by the rain though – or at least by the fact that we had the window open. We were really happy (so happy in fact that J did some break dancing in celebration) when the sun came back because we had a crazy busy weekend. 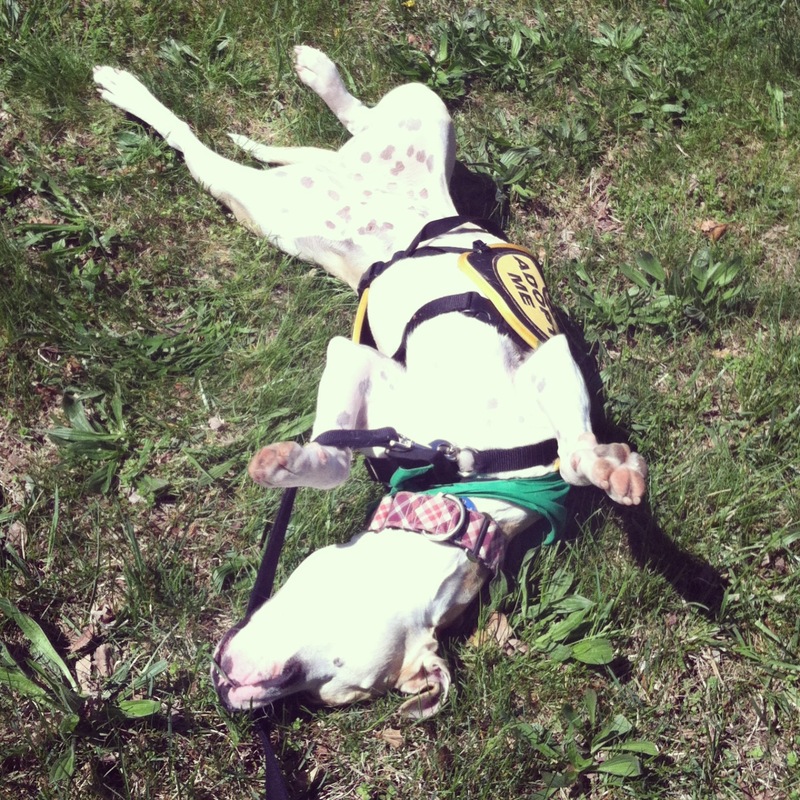 We’ll tell ya all about it on the blog this week, so check back to hear what we did! 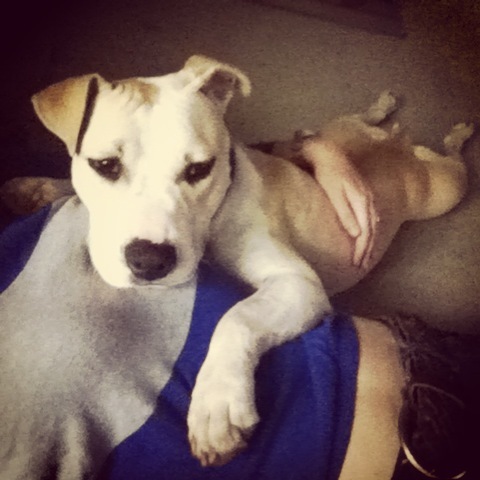 To adopt Johnnie Cash and spend rainy days together, check out her Adopt Me page. 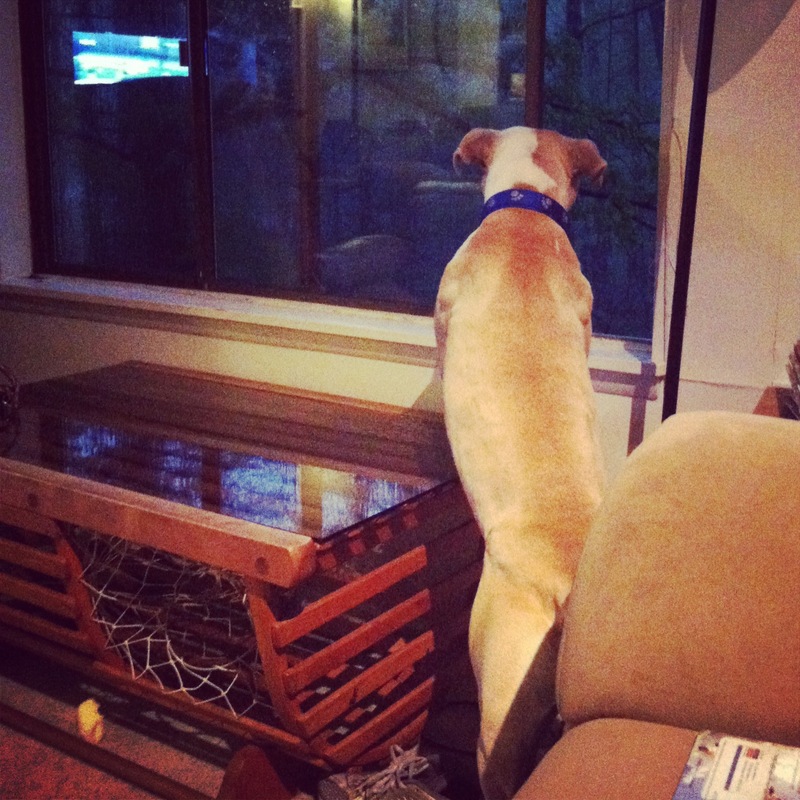 This entry was posted in Dog talk, Johnnie Cash and tagged adopt me, april showers, dog looking out window, fostering, rainy day, rainy day activities, snuggling with a pit bull. Bookmark the permalink. I’m glad she isn’t scared of it. I love the natural eyeliner!